Life with kids is much like a rollercoaster ride. The only difference is that it never stops. There will always be those time of pure hype and thrill and those down moments you just have to be sensitive with, not mentioning those times of nausea and its ill effects. Follow these tips and make your ride as fun as possible. Being with kids involves playing along their silliness and childlikeness. Strong, happy, relationships with kids help you build a happier life. Play is a great part in a child’s world. It is their basic language. You connect most with them when you take time to sit and play with them. Playing at its most energetic peak helps kids release their pent up feelings and frustrations. They cope better with anxiety, stress, and sadness they are not able to express. Playing is one of the best ways to deal with emotions. Time is one aspect you will never be able to take back. We tend to rush to the humdrums of everyday life. We speed up bedtimes, diaper changes, bath time, and meals. We have learned to speed up the responsibilities that can be dragging. Slowing down and taking the time to talk and play with your child builds better emotional connection. The child will feel more secure and well-taken care of. Connect and engage them in discussions. Sometimes, we can’t help but just be frustrated even with the smallest things. In times like this, it is really important to be critical and ask yourself questions to guide you with the severity of what has caused the frustration. If the deed done will not hurt him or other people, or cause damage to the property, better let it go. 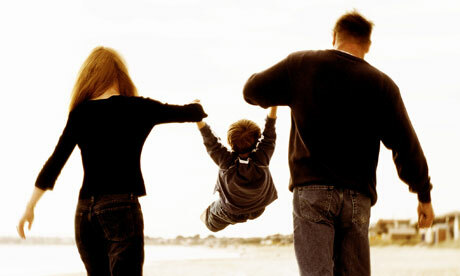 If what was done does not break the family’s values and rules, it is better to just let it go. Being too strict might just fall back on you. It is still best to give kids a sense of capability to decide on themselves. Discipline, requires follow through. Kids will never learn what is right or wrong or is unacceptable without the sense of consistency. Another thing about follow through is with your promises. Kids have a special part in their brains where they store memories on promises made! Routines are best learned early on. The child copes best with routines. It will not be difficult to make a child shift from one activity to another (yes, even the activity he hates) if it is a established routine. The same thing goes with quality time. Kids tend to give time spent with them a priority and they build activities around it.